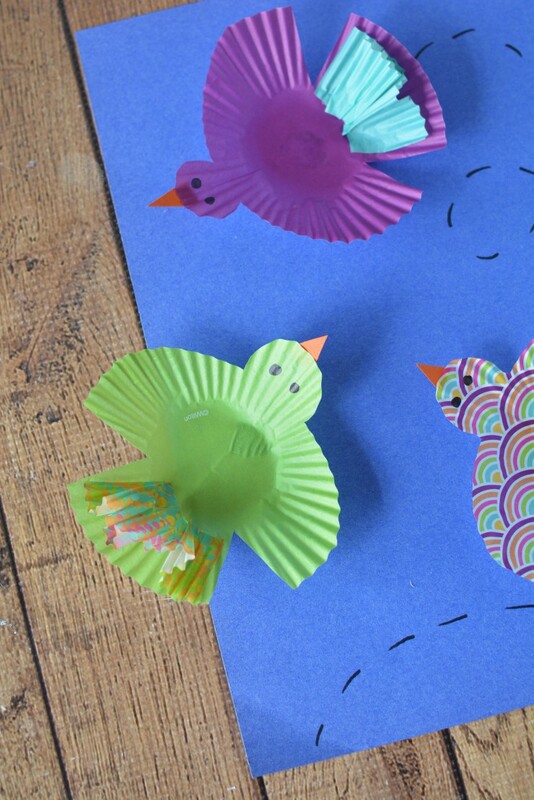 Cupcake Wrapper Birds Kids Craft - Frugal Mom Eh! 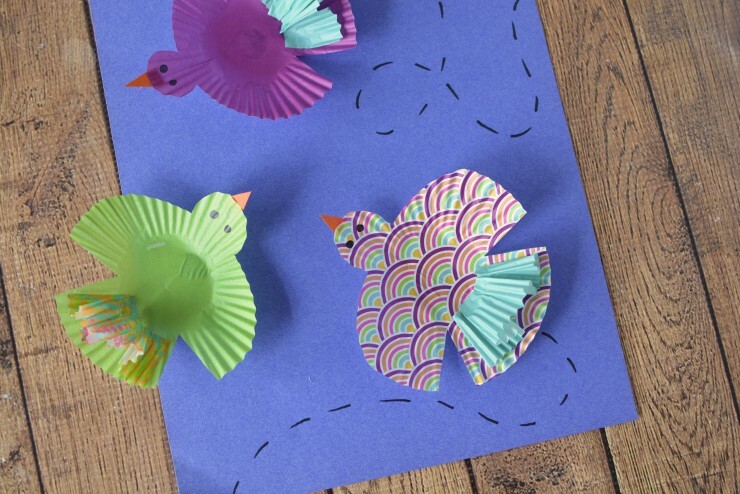 This delightful bird kids craft makes use of vibrant and fun craft materials to create a cupcake liner craft that kids will love. 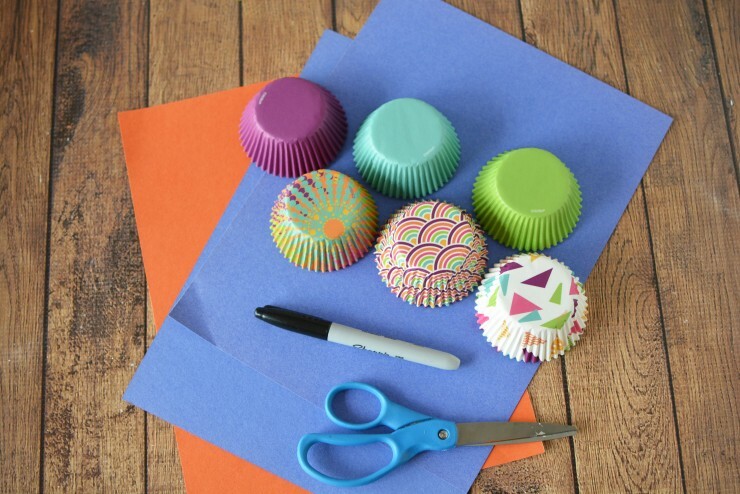 If you love baking, you probably have a collection of spare cupcake liners around the house. If you are like me you have several different colors and patterns on hand. 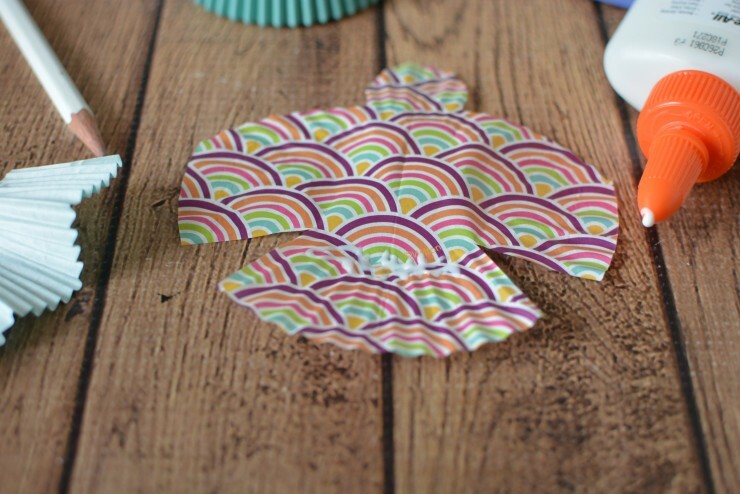 Instead of making cupcakes, repurpose them with a fun cupcake liner craft like this one! 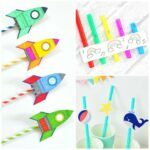 If you don’t have any on hand, you can usually find a good selection at Dollarama or Dollartree. 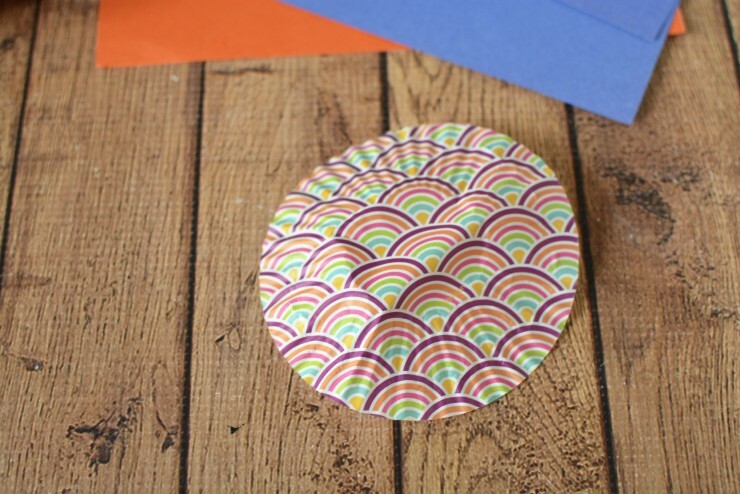 Flatten your cupcake wrapper gently with your hand. 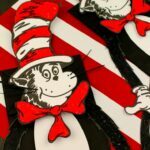 Fold the wrapper in half. 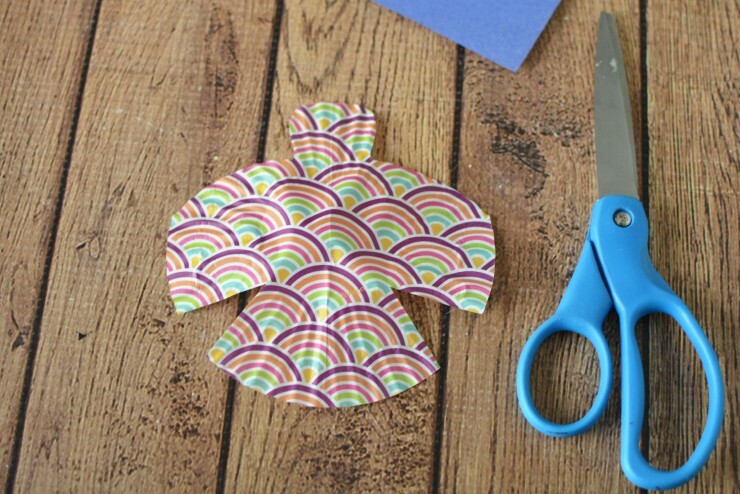 Cut out a half bird shape as shown, making sure to cut opposite the fold. 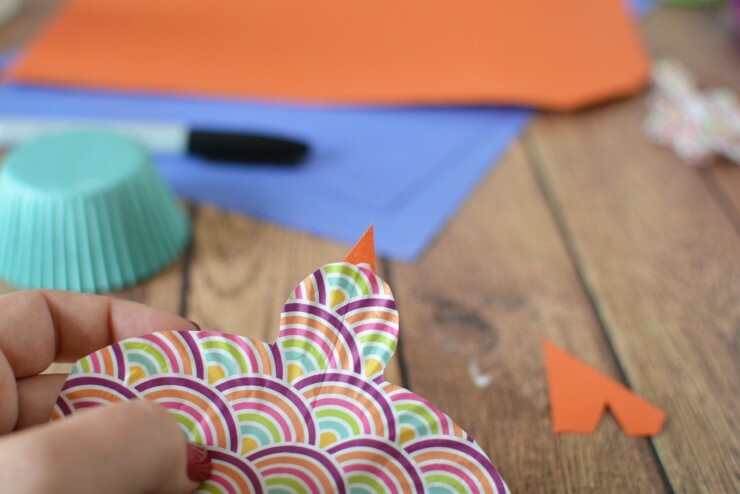 Open the cupcake wrapper and adjust the shape of the head as necessary. 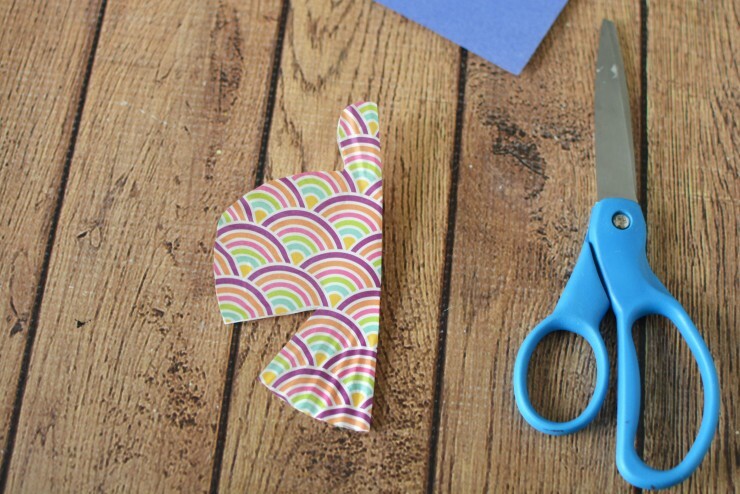 Do this by trimming the cupcake wrapper with scissors. I found my head was always an odd shape! 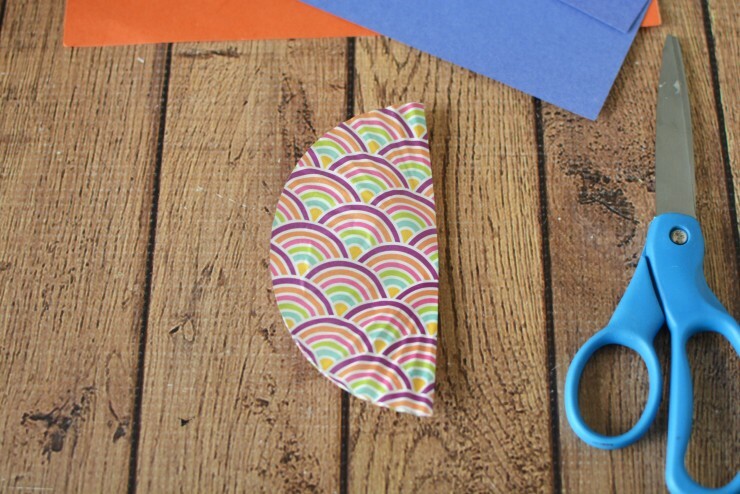 Cut a small triangle shape for a beak and attach it to the head of the bird with white glue. 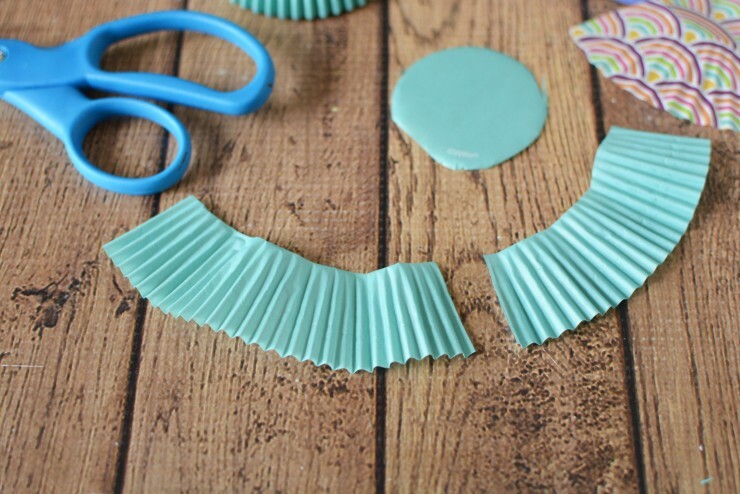 Cut the ruffled edge off another cupcake wrapper and cut in half. 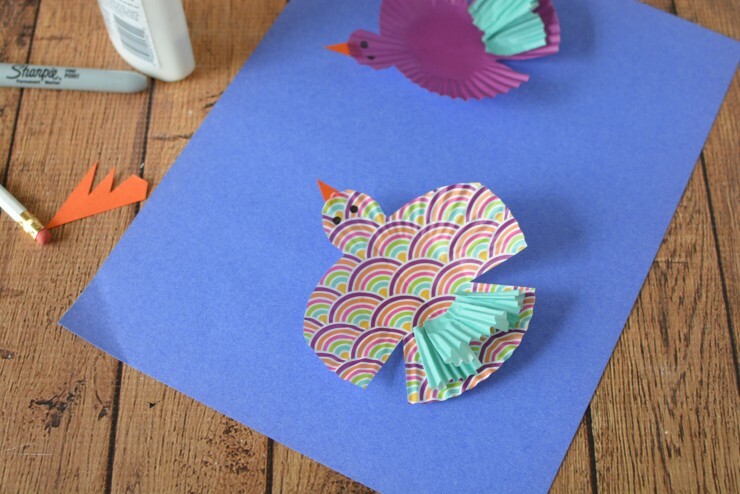 Use white glue to glue the ruffled edge in place by the tail to create a look of “feathers”. 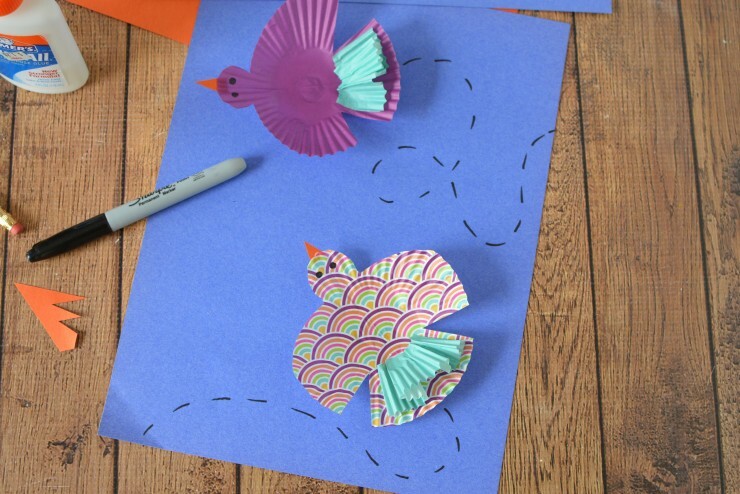 Draw 2 eyes onto the bird with a marker. 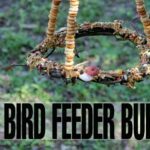 Repeat for the desired number of birds. 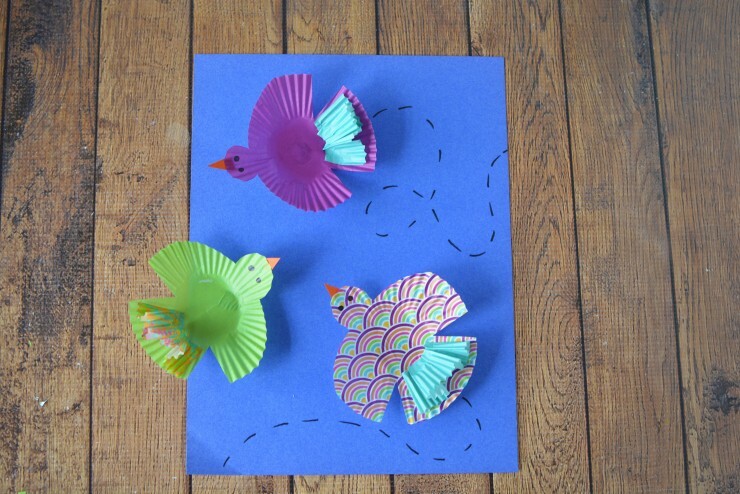 Glue the birds to a large piece of construction paper with white glue. 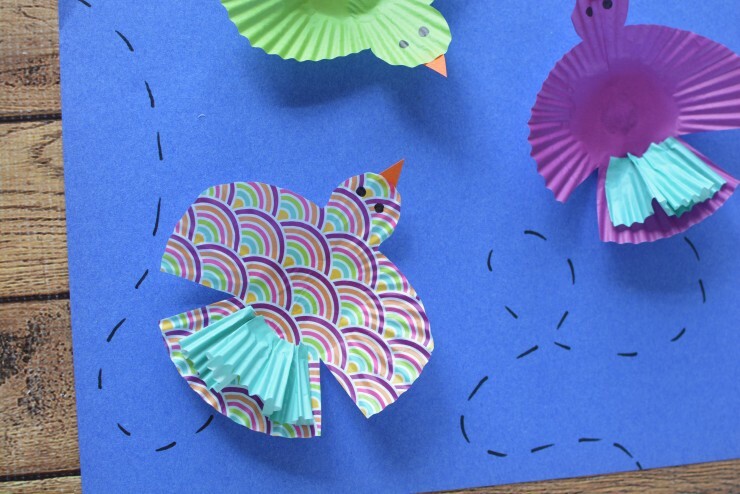 You can add cotton ball clouds or some dashed lines to show the bird’s flight path. 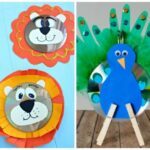 This is probably the cutest craft I’ve ever seen! 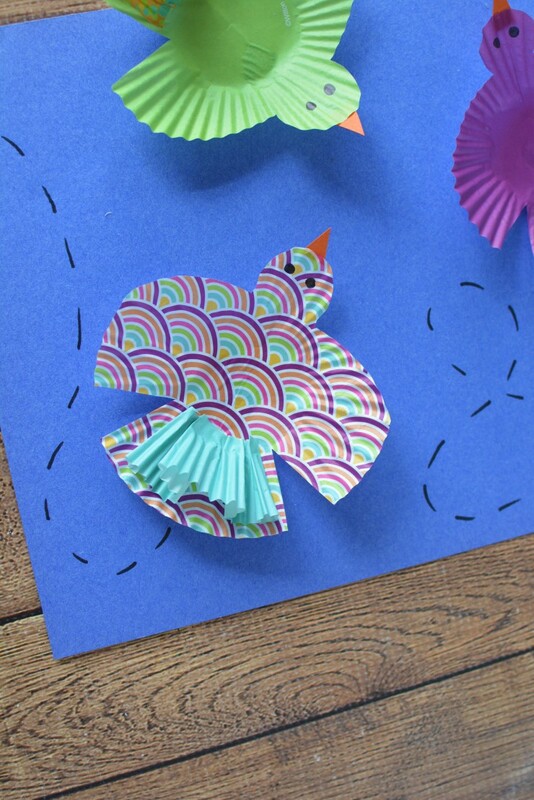 I wonder if you could make fishies in a similar way. 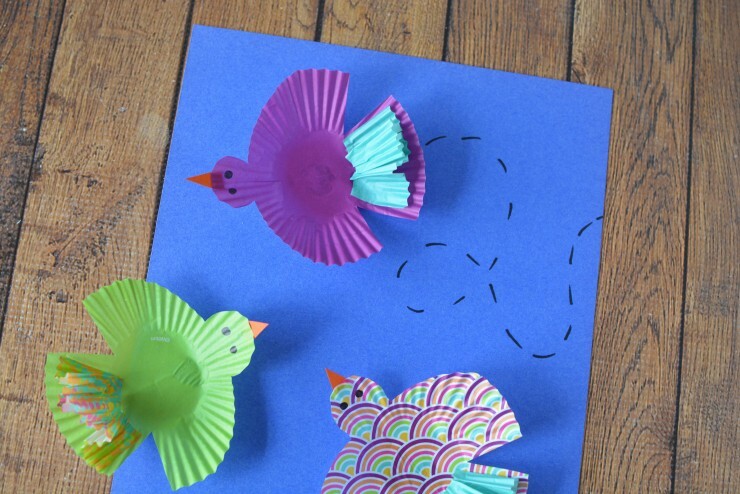 This is the cutest craft project ever,i totally love it and will be watching for nicely printed cupcake holders everywhere i do and then me and the grandkids can start crafting! 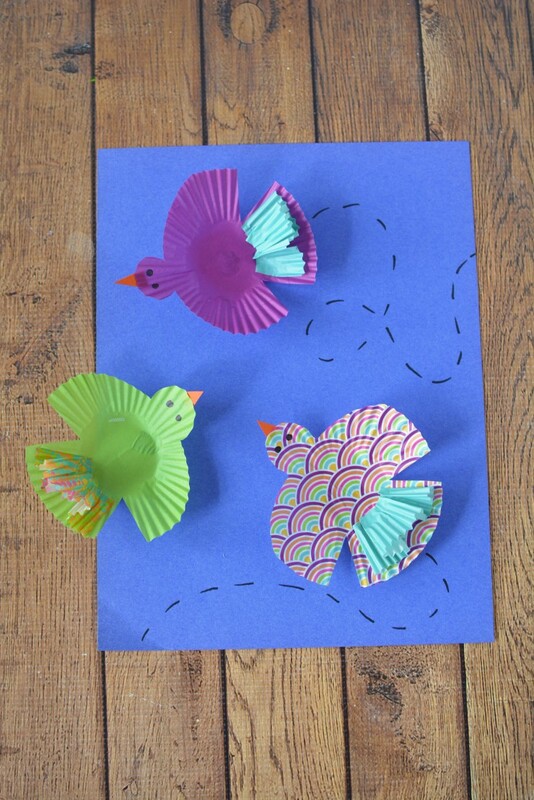 A fabulous idea, these are adorable, I love them and they aren’t too difficult for kids to make either.